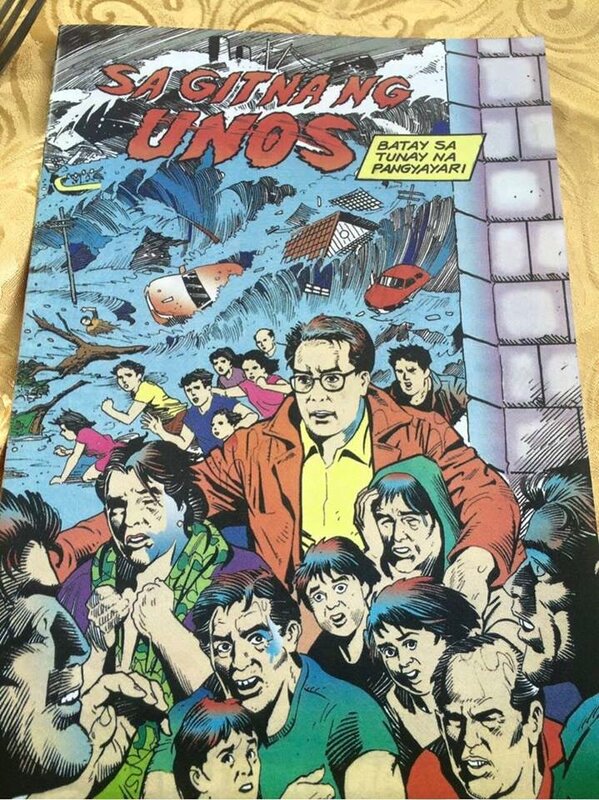 Presidential Candidate Mar Roxas is once again trending in social media thanks to a photo of a comicbook that’s being distributed in Cavite. Did I mention that he’s trending in bad taste? I was there. Many survivors were there also. I was even present during the press conference where he said that there will be a meeting at 8:00am on November 8. Meaning, he NEVER knew that the storm will hit as early as 5am. Tapos ngayon HERO siya? Wala siyang alam. It will be between his story and our stories. To all Roxas supporters, I’m sorry but your Presidential candidate is insane. 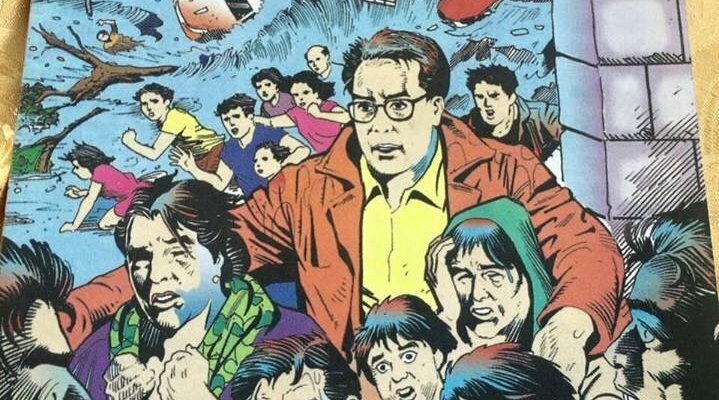 Its not the komiks that’s under fire but rather the content or the story. People who managed to get a copy of the book states that it was pure propaganda at its finest, raising the presidential candidate as a hero after Leyte and Tacloban was hit by Typhoon Haian aka Yolanda. Mar Roxas has been using that angle for awhile now, most recently during the televised presidential debates but people are not buying it. I certainly don’t buy that mostly because there have been a lot of “horror stories”regarding the malversation of funds that were supposed to be given to the victims who lost their homes and loved ones. Seriously though, Roxas has been shooting his foot over and over again. I believe that he COULD do a good job, but he’s really making a fool of himself as of late. Also now I want to get my hands of a copy of that book. Probably sell it on eBay when this is all over. where do we get one? I want to have one.